Provenance: I was born in Trail, B.C. How long have you lived in Vancouver? I grew up in Surrey, B.C and moved to Vancouver when I was in my early 20s. Occupations: When I was seven I started selling origami jewelry to students, friends and teachers. These pieces were also sold in the Surrey Art Gallery. Three years later I had moved on to assembling and selling PC computers as well as working on desktop publishing jobs for my father’s business connections. Volunteering for Delta Cablevision led to jobs in producing, directing and editing for the channel. Next I worked in software development, starting in technical support and moving into management and marketing. Later, after training to be a coach with a company in Seattle, I started my own coaching company, which I still run to this day. Swordplay is one of my life’s great passions. It all began for me in an underground parking lot in the early 1990s where I met with a small cadre of people who were equally passionate about historical fencing. This humble beginning led me to travel throughout the world to study, compete and eventually teach. In 2004 I co-founded Academie Duello, a centre devoted to teaching and reviving Western martial traditions, such as the long sword and rapier, as well as the chivalric ideals surrounding these arts. Since that time, Academie Duello has grown to be the largest school of its kind in the world. Passions and Interests: I have many: playing and listening to music, singing, dancing, swordplay, martial arts, travelling, hiking, outdoorsmanship, reading, local history, European history, psychology, knowing what makes people tick, teaching and coaching. What do people know you for? 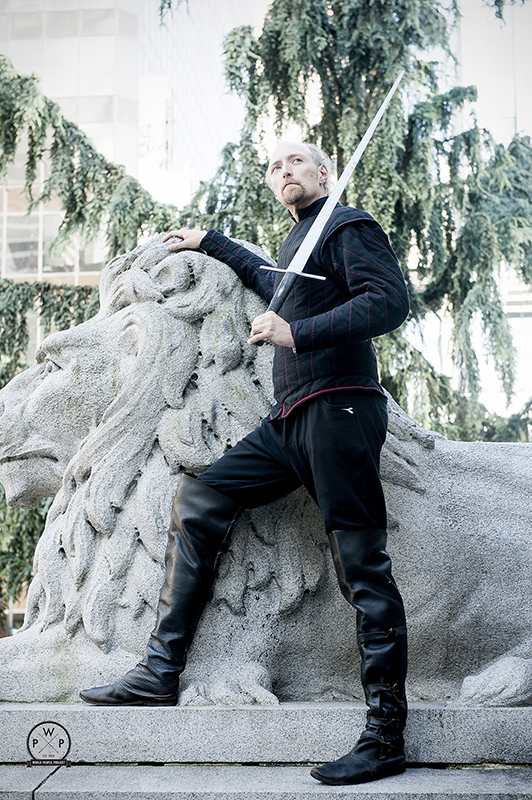 Swordplay is certainly my main claim to fame, and operating Vancouver’s sword fighting school. I am also involved with the dance community, especially contact improv and blues dancing. Both swordplay and dance influence my coaching — I am a leadership and life coach and speak publicly about these topics. Thoughts on Vancouver? Vancouver is an intersection between the arts and the outdoors for me. I love that I can hike in the mountains in the morning, do swordplay in the afternoon, and then dance or play music until the wee hours. At times I have struggled with the feeling that Vancouver is sterile. But that has changed, as I’ve gotten involved in more of Vancouver’s more obscure ‘scenes.’ Vancouver has an eclectic mix of open-minded people who have enough dreams to do amazing things and enough will to do them well. I find people are connected enough to nature to be socially responsible and still connected to the rest of the world to be truly innovative. I used to walk past Academie Duello on Hastings Street; through the windows I would catch images of men and women wielding swords, rapiers and lances with grace and finesse. It was amazing that there appeared to be so many people in Vancouver passionate about this swashbuckling art form and I wanted to know how it started. For the portrait, Devon wore a traditional fencing masters jacket in Duello’s colours of red and black modelled after one worn by Alfred Hutton, a 19th century fencing instructor and author matched with modern training pants. The longsword and riding boots are common to a gentleman of the early Renaissance.